The buzzword on BlogTour Cologne was Steam, oh glorious steam.... Why so catchy in the middle of snowy Cologne, Germany? Well, two of our sponsors, Miele and Mr. Steam both use steam to promote living a happier and healthier lifestyle. 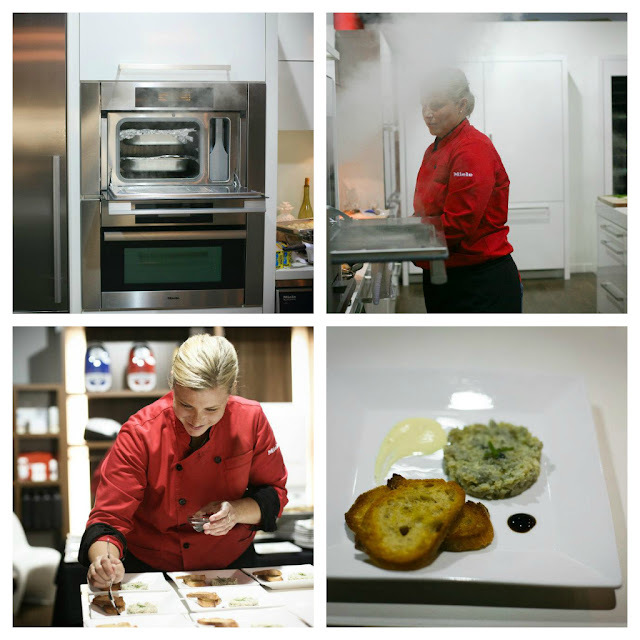 Miele advocates its new steam oven, the perfect product for healthy cooking at home and Mr. Steam avails its therapy system to relax your muscles, clear your sinuses and hydrates your skin. 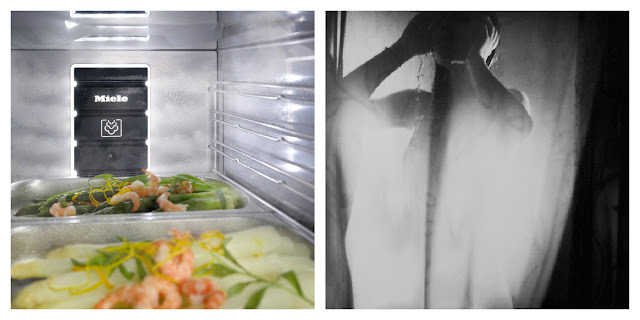 Who knew that steamed salmon and a steam room could have so much in common? - *Fits four stainless steel trays where an entire meal can be prepared all at once. You can cook meat, vegetables and desert simultaneously. Yes! 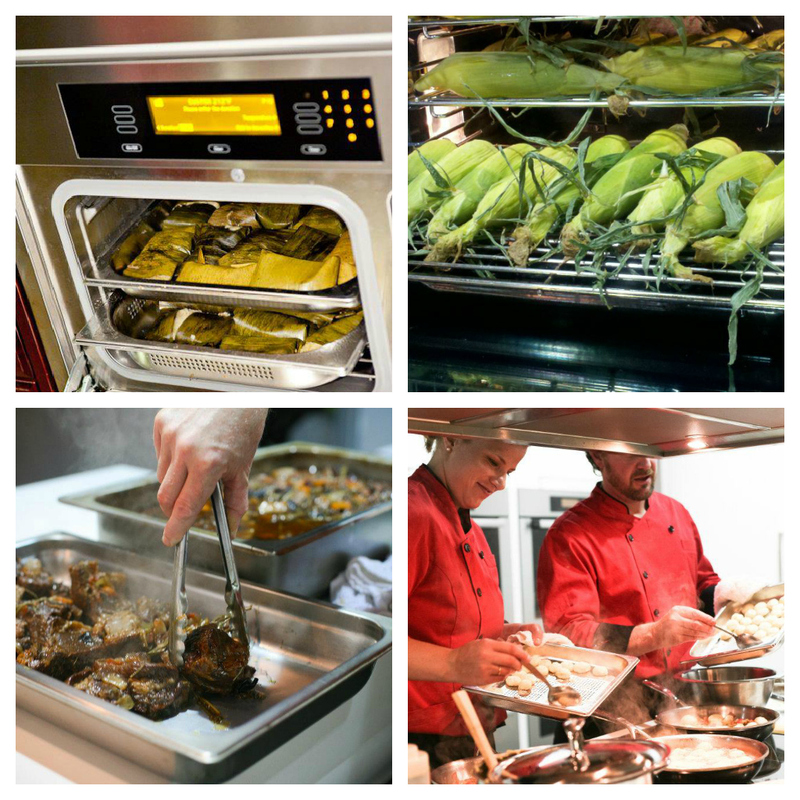 Pressurized convection steam separates flavors. Talk about efficiency! *Besides cooking a whole meal at once, the Multisteam technology cuts down on heating time by 30%! Great for a family with hungy kiddies! At imm cologne, we were able to watch all the chefs work and taste first hand all the wonderful dishes from the steam ovens. Below are some images from one of Miele's Better Living event in San Franscisco. * Miele's SteamOven maintains foods mositure, freshness, and valuable nutrients, in turn promoting wellness and healthy living! * Miele's SteamOven maintains foods mositure, freshness, and valuable nutrients, in turn promoting wellness and healthy living! (I had the opportunity to speak with Dr. Miele and ask him some questions. Stay-tuned for the interview) Mr. 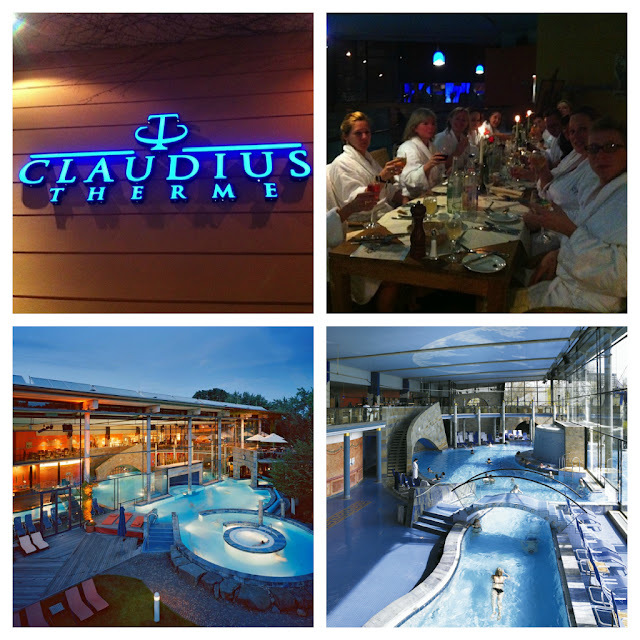 Steam hosted us to an evening at Claudis-Therme spa, truly believing in the power of steam to improve and maintain good health and beauty. What a wonderful evening! We experienced steam in their steam room, weightlessness in their floating pool, enriched with salt from the Dead Sea and fed an amazing 4 course meal in bathrobes! I was in pure heaven in that outdoor pool that whips around the whirlpool tub. The smell of snowy air embraces your head while you float within a forced circular current. You have no control but all I could do is smile and appreciate the experience! It was pure ahhh! If you ever spent time at a spa or in a steam room, you know how awesome you feel afterwards. Your pores open up and your skin feels smoother; your muscles loosen up and you unwind; your sinuses clear and you breathe easier.The release of toxins in your body from steam also helps headaches, and joint inflammation... The potential of Steam is tremendous. *Towel warmers are key. Embrace yourself in a comfy cozy warm towel! *No space is too small! Mr. Steam offers a virtual tool. 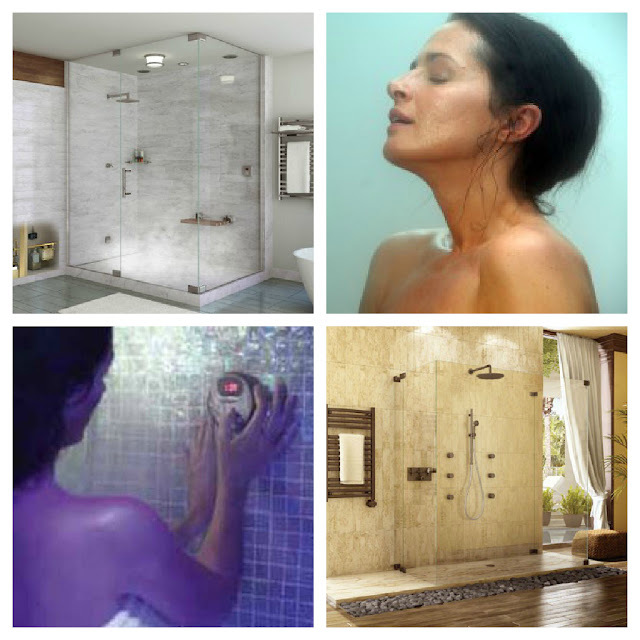 In 5 clicks you can budget the steam shower of your dreams! Click HERE. Thank you Miele and Mr. Steam for sponsoring our incredible trip to Cologne and Germany! Steam is certainly our future!